As millions prepare for Spring Break and sunny days, CBS News Medical Correspondent Dr. Jennifer Ashton discussed an increasingly common risk: skin cancer. New research reveals that skin cancer has become widespread -- particularly the non-melanoma type. 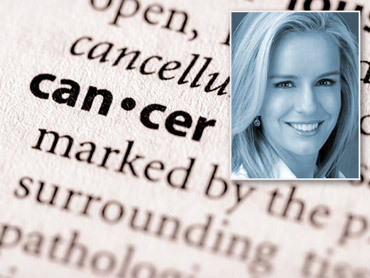 On "The Early Show," CBS News Medical Correspondent Dr. Jennifer Ashton explained non-melanoma cancer will affect one-in-five people by the age of 70, and it affects more people than all other types of cancer combined, according to the journal Archives of Dermatology. According to the research, non-melanoma skin cancers among Americans on Medicare jumped about 77 percent between 1992 and 2006. What's the difference between melanoma and non-melanoma cancer? Ashton explained skin cancer is named by the cell type from which it originated. Melanoma, for instance, orginates from melanocyte cells, which make melanin in skin. The other two cancer types are basal cell carcinoma and squamous cell carcinoma. "So if you need to be told you have skin cancer, you'd rather hear 'BCC' or 'SCC,' rather than melanoma, because these are highly curable, they're slow-growing, they're typically found on the head, neck and shoulders, sun exposed areas, and, again, very curable. Not the same thing as malignant melanoma." According to the American Cancer Society, people at risk for non-melanoma cancer include those who are fair-skinned, men, people treated with radiation therapy, and people with a history of skin cancer. Ashton said people should go to their doctor if they notice any changes in a mole or skin marking's appearance based on this acronym's guidelines: "ABCDE." A - Asymmetry. Anything irregular. B - B is the border. You want the borders to be smooth. C - Color, also. You want it to be uniform across the mole. D - D is the diameter. It should be less than the top of a pencil eraser. E - Evolving. If something's rapidly changing or growing, that could be a warning sign. For people going on spring break or headed out into the sun, Ashton warned, "You will pay the piper eventually. So there is no such thing as a safe tan. Everyone likes to look a little good, but you want to use that SPF. It's life-saving."